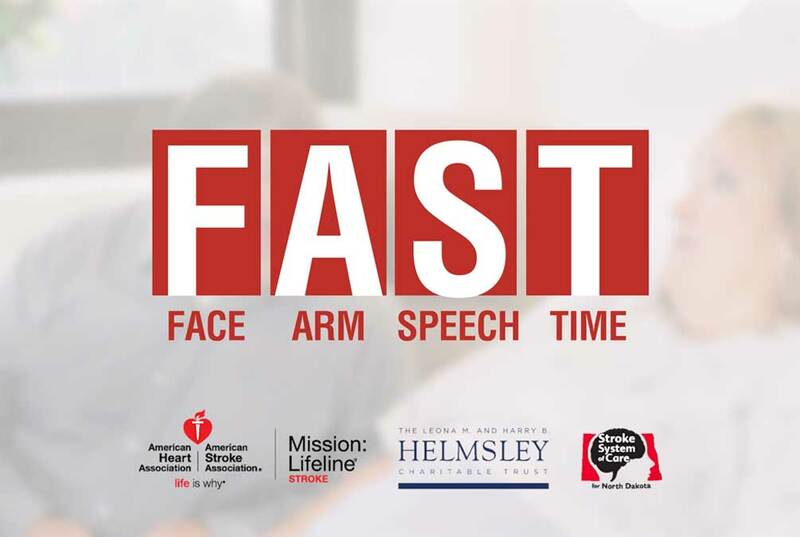 First, MABU conducted market research to understand North Dakotans’ awareness of stroke symptoms, readiness to call 9-1-1, perceptions & barriers to health care, and preferences in media usage. Research methods included statewide telephone polling, executive interviews with ND health care leaders, and focus group sessions with urban and rural North Dakota residents. Once research had been completed, MABU worked closely with AHA/ASA representatives to produce a full-scale marketing blueprint that could effectively reach the most at-risk populations in the most effective manner. The plan identified a target audience, messaging & its intended takeaways, media placements, and end-goal measurements to achieve. Spanning a three-year period, the primary goal of the Mission: Lifeline Stroke program is to reduce rates of death and disability after strokes in North Dakota’s rural populations. This begins by achieving secondary goals: a higher awareness of stroke symptoms and an increase on EMS & ambulance transport for stroke-related care.